We have now compiled a summary of all the events in Iran which targeted the Bahá’í community during the month of March 2012. This period saw a continuation of many of the activities noted during February including the arbitrary arrest and imprisonment of Bahá’ís, their expulsion from schools, and the closure of Bahá’í-owned businesses. Read the full March summary for more details. All information has been gathered from open sources which are linked in the report. 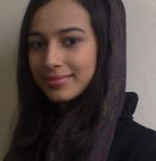 Afrouz Dhabihi was a top student at her secondary school in Sari, Iran until she was expelled for being a Bahá’í on 11 March 2012.